How a VRO protect me? A violence restraining order (VRO) is designed to stop threats, violence, property damage, intimidating behaviour and emotional abuse from happening in the future. 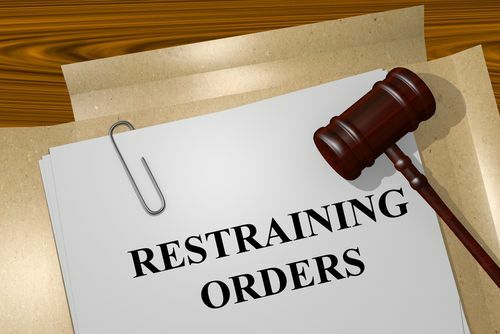 In Western Australia, a person may be able to obtain a restraining order under the Restraining Orders Act 1997 (WA) for their personal protection. In Family Law, VRO's may be important in protecting a party or child from abuse throughout a Family Court Proceeding. Family and domestic violence is broadly defined to include an assault, kidnapping, damaging property, intimidating, offensive or emotionally abusive conduct, or threats to engage in such conduct. The two types of VRO can be against a person you are in a family or domestic relationship with, or against a person you are not in a family or domestic relationship with. A family and domestic relationship is defined to include married and de facto couples, related parties and parties in an intimate personal relationship. There are two other types of restraining orders called Misconduct Restraining orders or Police Orders. If you are applying for a violence restraining order (VRO) you are called the applicant or the person seeking to be protected. The person you want the VRO against is called the respondent or, if the order is made, the person bound by the VRO. Domestic violence includes emotional, physical, sexual and psychological abuse. If your partner, ex-partner or a family member hurts or threatens you, it is Domestic violence. An act of family and domestic violence includes assaults, injuries, threats, stalking, damaging property, hurting animals or pets, and acting in an ongoing intimidating, offensive or emotionally abusive manner. Physical violence, stalking and threats of violence are crimes and may result in criminal records. Sometimes a VRO is used to remove a person from the former matrimonial home in Family Law Proceedings. We do not recommend VRO's for this purpose and recommend that any person applying for a VRO in a Family Law proceeding, should contact one of our experienced family Lawyers to receive further advice. If a VRO has attempted to be obtained inappropriately, the Court can award costs against the applicant. Sometimes, a party may feel threatened or afraid of the respondent, however, it may not warrant the Court granting a VRO. That person may still be able to apply to have the respondent restrained from entering the former matrimonial home. Such an application is brought in the Family Court and different powers apply. What can a VRO protect me from? To apply for a VRO, the party makes an application to the Magistrates Court of Western Australia. Alternatively, a VRO can also be made by the Family Court of Western Australia in exercising its relevant jurisdiction. The Applicant has right to request that the respondent is not present at this application. being in possession of firearms, ammunition or a firearms licence. A VRO may also inform the respondent that certain behaviour and activities are unlawful, that is, they may break a criminal law. The court’s powers of restraint are broad and it is not relevant that the respondent has a legal or equitable interest in any property restrained from access. The Court may feel it is necessary to grant an interim VRO even though the respondent has not been given notice. If the court grants an interim VRO that order will be served on the respondent. The respondent will then be bound by that interim VRO pending further order of the court. So you have been served with a VRO? What next? If you have been served with an Interim VRO and want to dispute it, then you must file an objection within the prescribed time. The case is then either listed for mention or for a final hearing. In any event, you are bound by the Interim VRO until such time as the Court has determined your objection. Final restraining orders are generally imposed for a period of two years. However, this may vary at the discretion of the court. Breaching a VRO - What can I do? Notice of a VRO does not go on the person bound's criminal record. However, if a person bound by a VRO breaches that order, they may be charged with the criminal offence of breaching a violence restraining order. A conviction for breach of a VRO will go on your criminal record. Breaching a VRO has very serious consequences. A person who has breached a VRO has committed a criminal offence and is liable to a fine of $6,000.00 or 2 years imprisonment, or both. A Persons bound must READ THE ORDER CAREFULLY. If the person bound does something that the restraining order says they can't do, they are "breaching" the order. send messages to you, even through friends, family or your children. If you require further advice or representation on breaching VRO's contact now us as early advice is vital. We are your personal law firm, we provide you with guidance every step of the way in advising and representing parties in obtaining and defending restraining orders. For more information on our VRO representation please call +618 9386 5200 to speak to a friendly member of our Team or use our Contact Page to enquire online.